Once in a while I allow myself a little indulgence of extreme daydreaming. I said extreme because my thoughts can go as far as: “If only I look like Liza Soberano, life would be so much easier!” The ultimate celebrity crush of everyone, endorsements here and there, jowa ni Enrique Gil, the next Darna…and now a businesswoman, too. What’s not to admire with this young lady? Liza, whose real name is Hope Elizabeth Soberano, believes that wellness goes beyond what meets the eye. 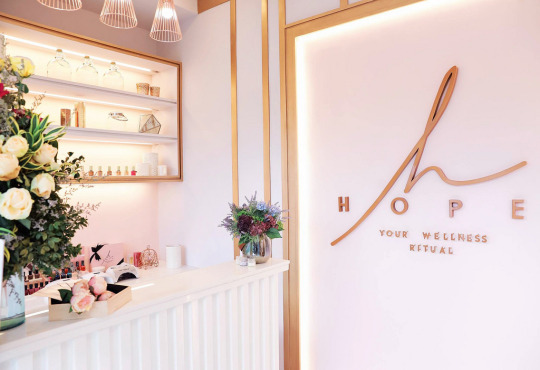 “It is all about making us feel better holistically, from head to toe, body to soul.” This advocacy inspired her to open HOPE Hand and Foot Wellness, which is located at U4, Creekside Square, 74 Tomas Morato, Quezon City. Hence, can you imagine my immense joy when I got invited to try the services of HOPE? More so, I wouldn’t say no to the pleasure of a pamper day! 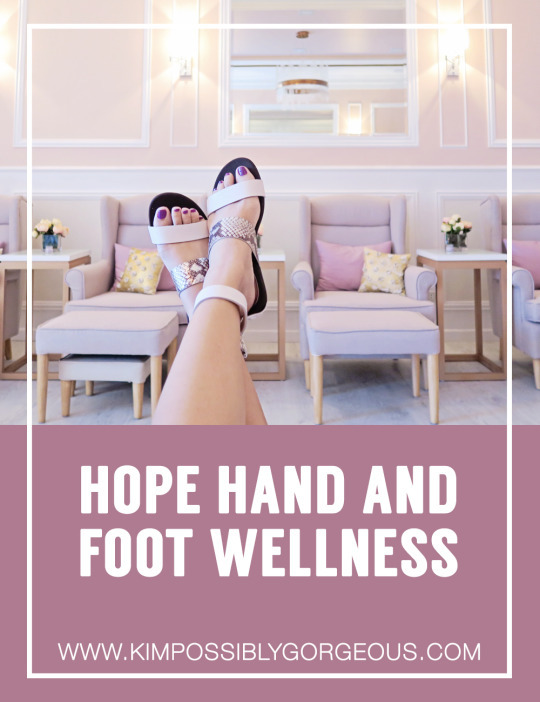 HOPE Hand and Foot Wellness looked warm and inviting as I stepped in, and their courteous staff quickly attended me as I snuggled into their comfortable couch. Contrasting with the hectic chaos that is Tomas Morato, the place has pink, white and gray color palette that’s both sweet and calm. The little details of flowers, candles and pretty chandelier also complement in creating the perfect relaxation ambience. 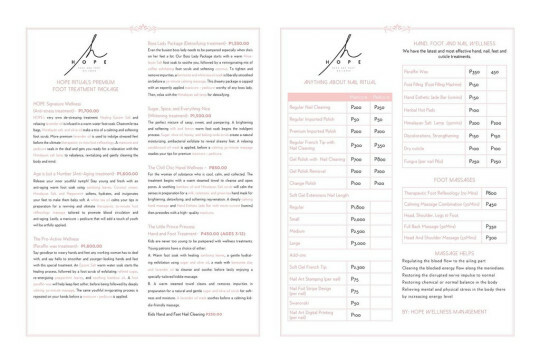 HOPE Signature Wellness Package– HOPE’s very own de-stressing treatment. Healing Epsom salt and relaxing lavender oil is infused in a warm water foot soak. Chamomile tea bags, Himalayan salt, and olive oil make a trio of a calming and softening foot scrub. More premium lavender oil is used to indulge stressed feet before the ultimate therapeutic 70-minute reflexology massage begins. 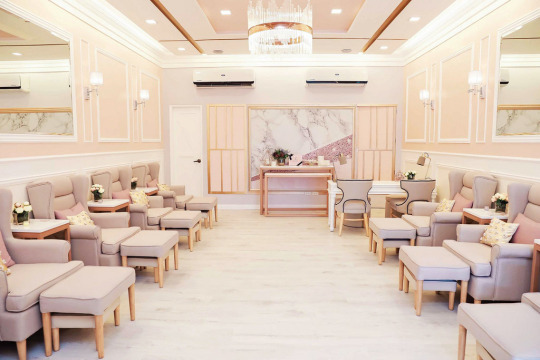 A manicure and pedicure seals in the deal and gets you ready to face the day with newfound wellness and hope. Watch the #TryMeKimme video of the HOPE Signature Wellness Package here. Best scrub, massage and mani-pedi I’ve had in a very long time! Those 70 minutes worth of massage put me into a state of pure bliss. I’m absolutely in love with how HOPE executed everything. And that they don’t skimp on the ingredients they use, oils kung oils talaga. Every package is “100% effective and 100% natural”. Even the nail polishes are only the premium brands like Zoya, Orly and Morgan Taylor, with no added fees, BTW. Overall, I left HOPE happy and glad that I came. They only have one branch at the moment and though it’s only about 10-minute travel from where I live, it’s worth the drive from wherever. HOPE really does what it does very well. I can’t wait to go back! P.S. Daydream is a fantasy. I know very well that Liza worked hard to be where she is today, and not just because of her pretty face. So big congratulations, to you girl (naks, feeling close!) and the whole HOPE Team! Photos from Hope Hand and Foot Wellness and Sohu Designs.